Top lifts off for easy card removal. Front doors opens with built-in latches. Large Cage measures 17.5" tall x 10 wide. Smaller birdcage is 13.5" tall x 8" wide. Both cages have lids that open . 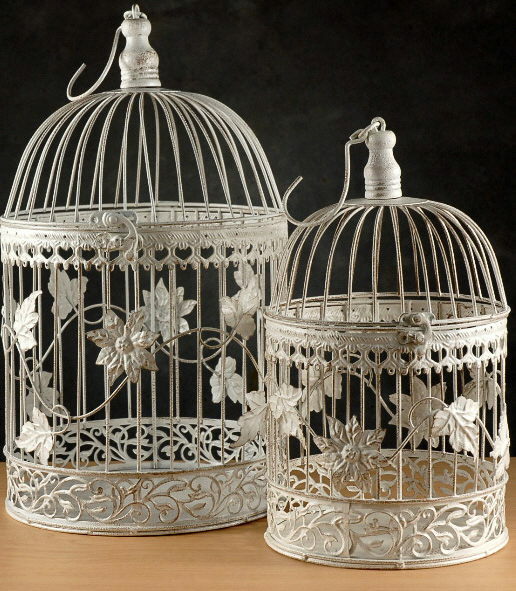 * Please call us for any questions on our bird cage set 2 white rentals in Hagerstown MD, Williamsport MD, Martinsburg WV, Waynesboro PA, Mercersburg PA metro areas.